What kind of student typically enrolls in the UNC-Chapel Hill online MBA program? The fact that [email protected] is able to attract talented students regardless of their profession and geographic location has been key in developing a diverse and successful student body. That said, UNC Kenan-Flagler maintains high admissions standards across all of our MBA programs, so the caliber and student profile of an [email protected] student is quite comparable to a student in our full-time or executive programs. The primary difference between [email protected] students and our full-time students is that [email protected] students tend to need the flexibility of a program that is offered online. A lot of our students do not live in close proximity to Chapel Hill; many are on different continents. [email protected] makes it possible for those students to become Tar Heels from literally anywhere in the world. Another common theme among [email protected] students is their commitment to working full time while they pursue their MBA, and this dedication to their career is a reflection of the work experience they bring to the program. The majority of our students are in mid- to upper-level management positions, and are really looking to make the next step in terms of their career. We also have students who are already operating at the C-suite level without any formal graduate business education. The [email protected] curriculum gives students the breadth and depth of knowledge that is highly valued at those higher levels. Another common thread among our students (though there is no official statistic on this) is the majority of them have incredibly demanding work schedules. Some travel up to 80% of the time, some have large families, and some even grow their families while in the program. How much time (if any) are degree seekers required to spend on the physical campus? [email protected] students are required to attend at least two of our global immersion Summits (Friday-Sunday) throughout their time in the program. Each year, there are four Summit opportunities, held in influential international and domestic business centers. At least one of those Summits is offered at our Chapel Hill campus. 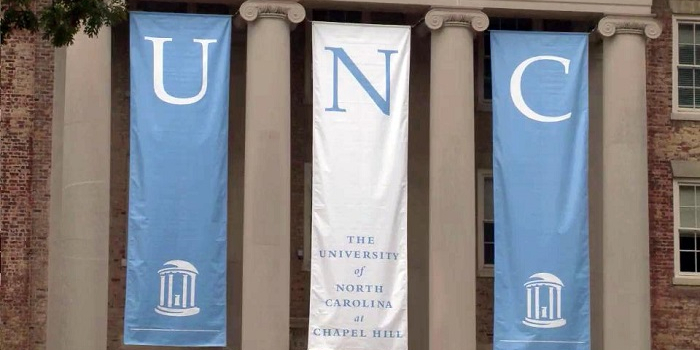 [email protected] students are also invited to attend graduation in-person in Chapel Hill to celebrate with their classmates, family and friends. What areas of concentration is your program known for? Or what areas are most popular? How do online MBA students best communicate with faculty? Our students interact with faculty in the online program at the same frequency as they would in an on-campus program, through weekly live class sessions and during professors’ office hours. The technology platform we use for the program is incredibly advanced and it’s just as if you were meeting someone in person, face to face. All of UNC Kenan-Flagler’s faculty members have impressive resumes. Paul Friga is the Director of Consulting Concentrations and also the Associate Professor of Strategy and Entrepreneurship. Friga spent years working as a consultant for Fortune 100 companies including McKinsey, PricewaterhouseCoopers, Boeing, and Microsoft, among others. Friga is also the author of The McKinsey Mind (McGraw-Hill, 2001) and McKinsey Engagement (McGraw-Hill 2008), and his work has been published in a number of top journals. Two of our professors recently wrote books based on their research. Global branding expert Jan-Benedict Steenkamp wrote “Retail Disruptors: The Spectacular Rise and Impact of Hard Discounters.” He also has written books on global brand strategy and his book "Brand Breakout: How Emerging Market Brands Will Go Global" was selected as a best business book in globalization by Booz & Co.’s Strategy + Business. Professor Brad Staats outlines why success demands continuous learning and provides a practical framework to become a dynamic learner in his book “Never Stop Learning: Stay Relevant, Reinvent Yourself, and Thrive.” He shares original research about how we learn and engaging stories about how real learning happens. How do your online MBA students best connect and network with their degree-seeking peers? Networking is a vital component of all of Kenan-Flagler’s programs, as is the strength of our alumni network. [email protected] students network during class, outside of class during group work, at the global immersion weekends (most students attend many more than the two that are required), and even plan virtual happy hours and vacations amongst themselves. Tell me about career resources for online MBA students at UNC-Chapel Hill. [email protected] has a robust career management team that is dedicated exclusively to [email protected] students. Our career services team provides one-on-one custom-tailored career coaching on a consultative basis for all of our students. What about career support for alumni of the program? [email protected] encourages students to continue to develop professionally far beyond their years at UNC Kenan-Flagler. As members of the [email protected] community, students have access to the entire Kenan-Flagler alumni network. We also offer MBA for Life, an initiative that allows an [email protected] alum to enroll in any course post-graduation for the entirety of their life. Any final words of advice for potential online MBA students? Two things. 1) Make sure you understand exactly why you want to get an MBA, both for yourself and for the admissions committee. That is one of the main features that every admissions committee looks for in an applicant. 2) Make sure you find the program that truly fits your goals. If class visits are offered, attend one (or two). Speak with current students in the program. Not all online programs are created equal, so be sure to expose yourself to as much of the program as possible before you make a decision.